If you love saving money and earning free stuff, then hurry on over to Kellogg’s Family Rewards program! Why? Because we’ve shared hundreds of KFR codes good for FREE bonus points you can redeem right now. TIP: watch your email for special emailed codes from them, they often send 100 point codes (emails come from no-reply@em.kelloggs.com). They also send high-value Kellogg’s coupons! and of course, watch Gimmie! We’ll share new codes whenever we find them! After following the link above and signing up, enter these codes in the “enter multiple codes” link on top of the page. First, you can get free printable coupons on KFR as soon as you sign up! 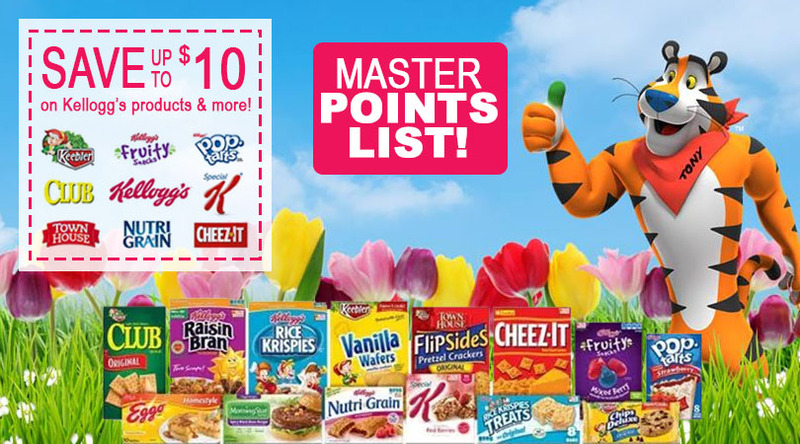 Then, redeem your points for more great Kellogg’s coupons on Kelloggs Family Rewards. After that, every time you redeem a code you’re entered to win $200 in groceries! In conclusion, KFR is a great rewards program, because you can score free bonus codes right here!